Last Monday, it was my friend Caren's birthday. We had a cookout night over at her place. When my photographer friend Magic Liwanag arrived, I immediately asked him to make me a 3D picture after seeing another friend's shot previously. 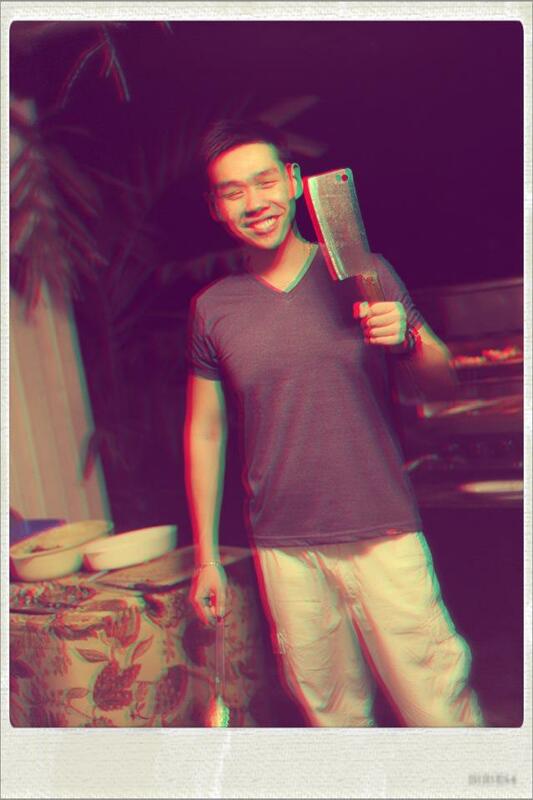 I was grilling some chicken and liempo during this time, so I was holding a thong and a huge chopper. If you have 3D glasses with you, could you check if I'm on 3D? Sorry for this non-sense post. I suddenly realized that this blog is my personal blog anyway. Cheers! That's the kind of THONG you use?! The thong is on my right hand beside my pants.